There are a number of repercussions that come from the high rates of incarceration in the United States. The repercussions may include leading to fiscal burdens to societies, taking men away from their families though the families really need them and wasting the productive years of individuals through incarceration. The following are descriptions of some of these negative repercussions. One negative repercussion of incarceration is that for individuals who are coming from poor and minority communities, there has always been a substantially elevated rate of imprisonments and prison admissions when contrasted against other groups. 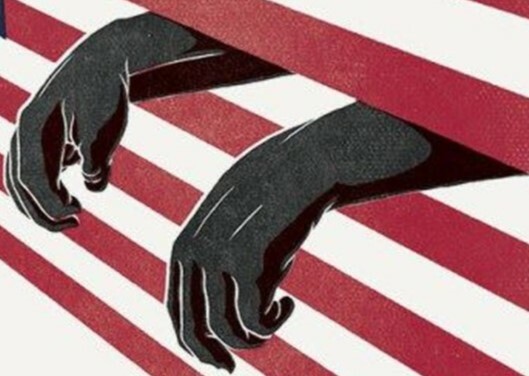 Additionally, the repercussions of incarceration, particularly the harsh penal policies that have been experienced in the last 40 years have always mainly impacted the Hispanics and the blacks particularly the poor ones. Incarceration correlates with negative social as well as economic results for the individuals coming out of prisons as well as the families they are coming from. Unfortunately, these are the same families that are already suffering from severe shortcomings and are least able to cope with the need to take up the additional harsh conditions. The allocations that are made for the corrections have grown and they are higher than the budgets that are used for any other governmental service. The budgets are higher than those that are used in government services such as transportation, education as well as assistance of the public (Lynch & Sabol, 2004). The government spends a lot on corrections and it is actually the third highest category where the general fund expenditures are in a number of States as it only trails education and Medicaid. The social inequality that comes from the mass incarceration is considerable as well as long-term depending on a number of reasons. First, it is invisible in that the institutionalized populaces in most cases are found out of the official records of economic well-being. The prisoners always come from in no measures of poverty as well as unemployment, particularly since they are drawn from the lowest available levels in the community. Owing to this, the maximum extents of the negative impacts to the groupings that have the highest incarceration rates are normally under looked. Secondly, the inequality in this is cumulative since the social and economic consequences that come from the incarceration are normally accrued by the individuals who happen to be having the weakest chances when it comes to economic opportunities. Therefore, the mass incarceration, as in the U.S. apart from bringing down crime disadvantages and forecloses the mobility for a wide part in the society. Above all, the incarcerations affect not only the individuals that go to prison but they as well affect their families and their children as well. The third negative impact of incarceration is that it extracts men from families living only the women to raise children and at the same time it takes away the key years of individuals, particularly males. Just like the case in criminal activities, the prisons and the jails are in most cases a male affair. The reason for this is that it is the men who account for about 90 percent of the population in the prisons and it is the same when it comes to the populace in the local jails. There has been a rapid growth in the incarceration of women in the past decades, but the social impact of imprisonment is still tilted in terms of community and family balance and attachment (Hagan & Dinovitzer, 2009). In most instances, it is the women who are left behind looking after children and raising them on their own since the men have to face the possibility of being separated from their families through incarceration. Similar to being separated from their families, men have to cope with the possibility of them loosing the productivity years through incarceration. The incarceration rates are mainly highest for the individuals who are falling between the ages of twenty and the early thirties. In an individual’s life, these are the key years in the course of their lives. It is at these ages that most men are finishing schooling and establishing themselves into adulthood by maybe finding jobs and starting families. These years are referred to as the early years of adulthood and they are important in the life of a man, for their life trajectory. They are also important to their children as they are just growing and their need their fathers for that important stage of development and their families since they are the years when they are the most productive for their families. Decisively, the three negative repercussions of incarceration as discussed above portray the shortcomings of the U.S. criminal justice system as it does not seem to have looked at the negative repercussions that directly have effect even on the country. Take for, most individuals are taken away at their prime ages, when they are most active and are more productivity, something that the country readily taps into for its sustenance and growth. Lynch, J. P., & Sabol, W. J. (2004). Assessing the effects of mass incarceration on informal social control in communities. Criminology & Public Policy, 3(2), 267-294. Hagan, J., & Dinovitzer, R. (2009). Collateral consequences of imprisonment for children, communities, and prisoners. Crime and Justice, 121-162.